The countdown until the showdown……. 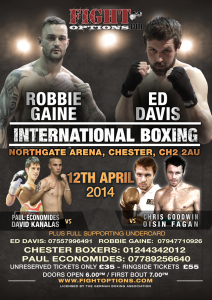 It’s all systems go for Chris Goodwin and Paul Economides as the put the final preperations in for their title fights on the 12th of April. Both fighters have been in camp for sometime and are looking forwards to getting back in to a ring in their hometown. Preparations could not be going better, and with the lads sparring with some of Ricky Hattons stars, it’s fair to say we are looking forward to big things at the Northgate. The Bill is now taking shape nicely with Nathan Decastro and Antonio Counihan being added. 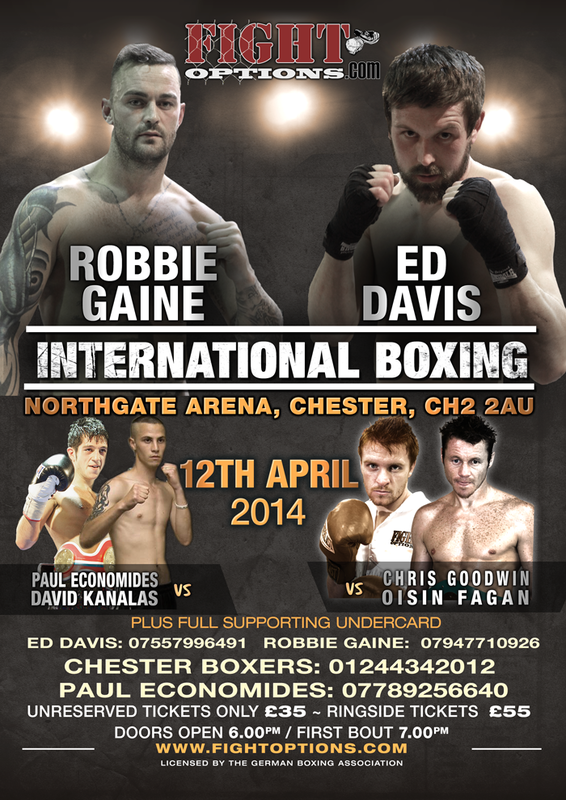 We have also more undercard action with local fighters Robbie Gaine and Ed Davis, plus others. It’s going to be a great night, so get your tickets from the lads as they are moving fast!